✦ Each safe features a combination lock, coin slot and heavy gauge steel construction. Kids love these cool steel safes. They are great for hiding their small toys and treasures. Each safe features a combination lock, coin slot, and are made from a strong gauge steel construction. The dual movement combination lock.requires you to enter a unique multi-number combination code to be able to retrieve that hard saved stash! The combination lock code is found on the bottom of each safe. 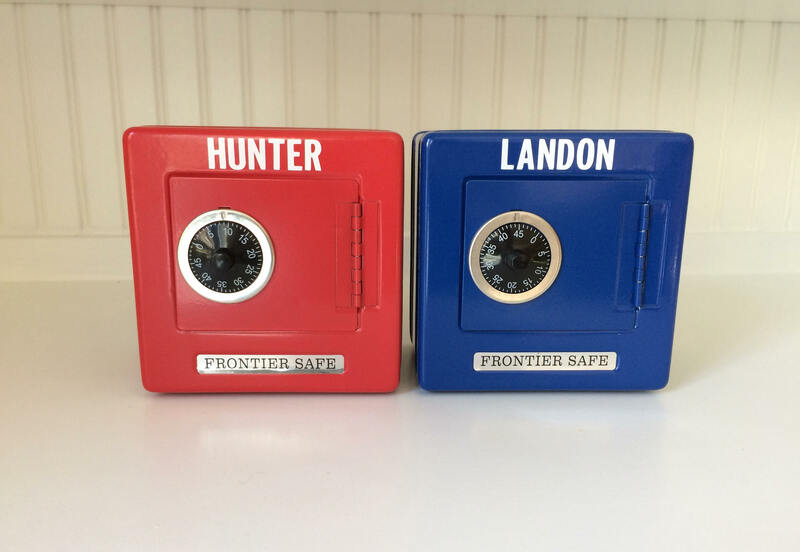 The safe piggy banks turned out perfectly for my nephews and they loved them! My children loved their new banks!